Welcome to the Tenth Edition of the Owen Guns Bulletin. Email owenguns@spiderweb.com.au for more & bigger photos, its worth it. Idea for Dad and Son, An Adult Air Rifle. Practice Target Shooting in the Garage. Two stage Adjustable trigger, Ventilated rubber recoil pad, Precision rifled steel barrel, Crossblock trigger blocking mechanism, Ambidextrous safety, made in the USA. 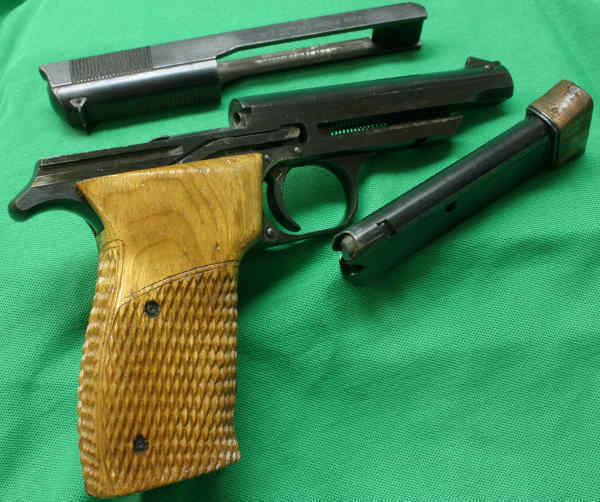 As used to win all the GOLD in 1936 Olympic Games, originally made by Walther in Germany and subsquently copied by Russia and China. These are the Chinese version, used in Pistol Clubs the world over. 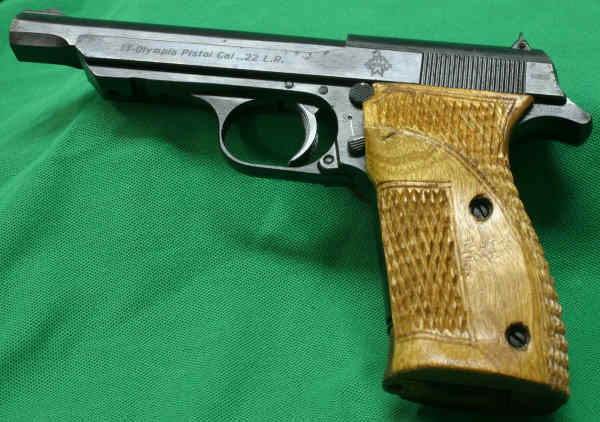 The Norinco pistols are all high quality steel, there is no alloys or plastics they are all carbon steel, except for the wooden hand grips which have been checkered like the original to give the best possible grip, not looks. This batch of hand guns are Brand New never been fired, however they have slight imperfections in the bluing mainly near the corners as shown on the photographs above. The weight, of a barrel which in the same material is relative to the length and outside diameters, of the barrel, of a fire arm depends on a number of things. Most testing on this subject has been done by the worlds military forces as they have the most to win or lose we can make use of their findings. Experience has proved that a military rifle should not weigh over 9 and half pounds. Most sportsmen prefer that their rifles should not weigh over 8 pounds, although there is a class of hunter-riflemen (Varmint) who take pride in sure hits and clean kills at long distances, and who are willing to carry rifles weighing up to 11 pounds to obtain the better accuracy. Target shooters, also, have found that a rifle of about 11 to 12 pounds holds steadier than a lighter weapon, and of course they do not have to carry their rifles long distances over rough country. It should be understood that the heavier the barrel of a rifle, other things being equal, the more accurate it will be, because it jumps less and is more uniform on discharge, and it heats up at a slower rate and retains a more even temperature. 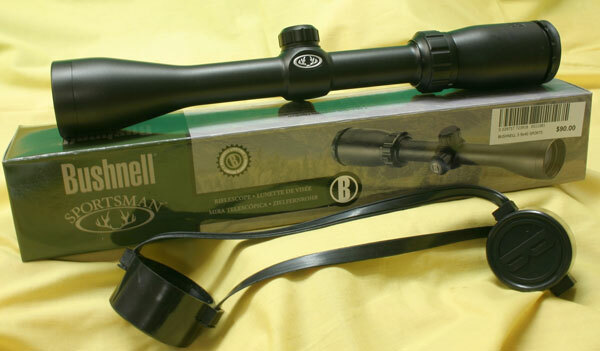 Some hunters prefer lightweight of medium barrels and 6 and half pound rifle is possible but when mounts, scope, sling, sling swivels, ammunition in the magazine the quoted figures in the magazine quickly add up. Savage M12VFPL in .243 win Great long range rifle if you can carry it there. The barrel of a rifle or shotgun usually comprises approximately one-third of the weight of the entire arm, and in any given model of firearm is about the only part that can be varied materially in weight, hence the importance of the weight of the barrel in determining the weight of the entire firearm. Even changing a wood to synthetic stock will only change it a few ounces. Sometimes the synthetic is heavier. Most people buying a handgun will never look or consider the weight of a pistol in numerical figures but select by how it feels and points for which purpose they intend to use it. Generally as a large rule of thumb the average weights for shooting, target or military. slow, timed, and rapid fire; a hand gun should weigh about 36 ounces. Some great revolvers are made to weigh as much as 44 ounces, but they have not proved popular among the best pistol shooters because they are not “lively” enough when you want to point them quickly at different targets. This Smith & Wesson .44 mag is something Dirty Harry would be proud of, but not a quick pointer. A revolver for low powered cartridges may weigh as little as 26 ounces, and pocket weapons for self defence at very short distances may also be light, but a target pistol shooter using a light weapon finds that accuracy and timing has been sacrificed. 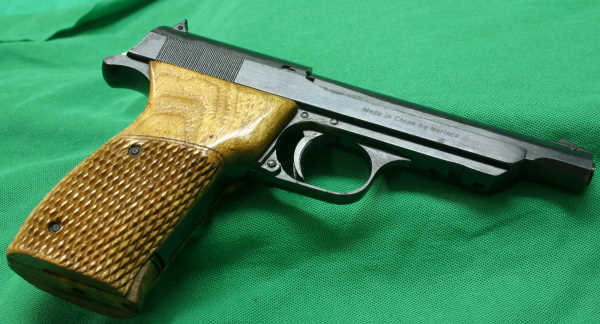 With a hand gun the receiver or frame is the heaviest portion, and the weight of the short barrel does not figure so prominently in the complete weight. Shot gunners who do a lot of walking prefer guns weighing 6 to 7 pounds, as they tend to carry heavy ammunition, and more of it than a rifle hunter, while duck shooters prefer about 7 1/4 to 8 pounds for flying targets when staking out their favorite swamp. Shotguns that use 3 inch magnum shells usually weigh slightly over 8 pounds. Krieghoff one of three in the world made in 1926 Lightweight U/O for hunting the highlands. It should be said that these weights are the results of design by manufacturers with years of experience where not only personal preference, but also ballistic performance is considered. All firearm design is a choice of compromises, because a man who has to carry his weapon all day naturally prefers the lightest weight possible, while maximum ballistic performance demands all the weight permissible. It would therefore be a mistake to design a small-arm differing materially from the above weights, except for some very special purpose. Due to the changes in our economic system, already prices of shooting equipment, have risen 30 to 40 % in the last three months and as in the 1930 s, many manufactures may close ,so it makes good sense to begin reloading ammunition. Reloading does not just mean cheaper ammunition prices, it means a continuity of supply and customized ammunition to suit and extend your requirements from the firearm. So the cheaper ammunition is just the icing on the cake. The requirements of equipment to successfully reload ammunition are quite small, it only get expensive when a person wishes to speed up the process and still keep a degree of accuracy. The basic setup consists of a loading press or tool; dies to suit the calibre concerned; a shell holder; and a means of weighing or measuring powder charge. Normally the press will contain provisions for seating the new primer, but, if not, a separate priming tool is required. While designs of the various makes and models of all those items differ a good deal, most function in essentially the same manner and perform the same operations. Here we will describe the basic and variant designs of the essential tools and equipment. The many other items will be covered a little later in this tome. Loading Presses for Rifles and Hanguns. The most common form is the “C-type” sold by several makers but originally introduced over eighty years ago by Pacific. At the top of the “C” frame we have a hole threaded 7/8 x 14 TPI (threads per inch) into which loading dies and accessories are screwed. At the base of the “C” is a horizontal or slightly angled flange, drilled for bolts or screws to attach the press to a bench or work stand. A massive tubular housing extends downward from the “C” roughly aligned with the die hole at the top. This extension is a carefully drilled and reamed full length, the hole being accurately aligned with the die hole. The frame is generally cast of iron or steel, sometimes an aluminum alloy. The Lee "C" Press is economical and will always work. A ram fits closely in the hole and is free to move vertically. Its upper end is machined to accept a shell holder head to grip the cartridge case. Some older presses had the shell holding surfaces machined directly into the upper end of the ram, but this expensive practice has ceased. An egress hole for fired primers is drilled in the ram, some directing primers out to the front, others to the rear. The lower end of the ram is slotted and drilled to receive a toggle arm, usually of flat steel stock. This arm is pinned to a heavy toggle which is in turn pinned to the frame inside appropriate recesses. The toggle is further drilled to accept an operating handle. The toggle and arm form a “toggle-joint” or “knee joint” which functions exactly as the human knee. It is actuated by the handle to raise and lower the ram with considerable force. When the toggle and arm are in line (all three pivot points falling in the same line) they support the ram at the upper limit of its travel. As the toggle joint is “broken” by handle movement, the ram is drawn downward. Reversing toggle movement, straightening the joint, moves the ram back upward with great force. 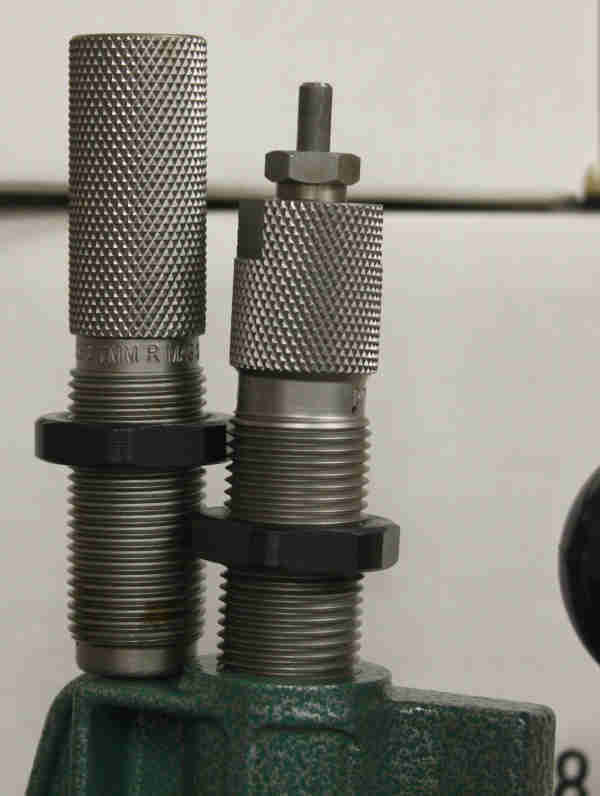 The toggle joint exerts progressively greater force as it approaches the closed (straight) position, making it ideal for forcing oversize cartridge cases into resizing dies. 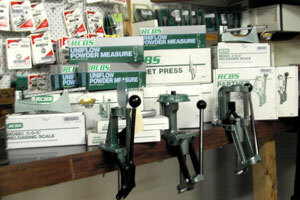 RCBS Die Sets, will last for lifetimes. Removable shell holder heads such as those made by RCBS, Lee or Lyman slip into a T-slots in the ram. They interchange quickly to allow speedy calibre changes. 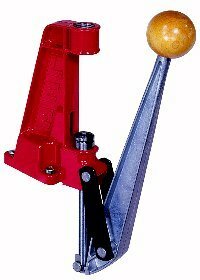 Most modern presses “break” the toggle away from the operator on the handle upstroke and use the more powerful downstroke for closing the joint and forcing cases into dies. Some presses are designed so that the toggle may be assembled to close on either the up or down stroke to suit the operator. Early models closed on the upstroke which resulted in many an exasperated handloader lifting tool and bench off the floor on a heavy resizing job. My mother really was upset when I broke the kitchen table after I was just testing a new press and had attached it to the table with some large G clamps, (she would do anything for me but not let me get away with drilling the bolt holes through her table.) She was very forgiving though. A detachable shell holder head fits into grooves in the head of the ram. It is machined so that it encloses both front and rear of the case rim in such a manner it can both press the case into a die and draw it out with great force without deforming the extraction rim. The holder is drilled at the centre for passage of fired primers and a primer seating punch. Holders may be held in the ram by setscrews or spring clips, and there have also been screw-in and lock-nut variations. 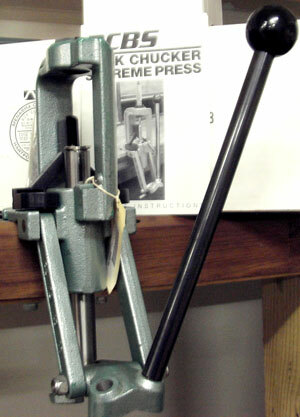 At the lower end of the “C” the press is fitted with a swinging arm carrying in its upper end a primer seating punch. The punch is usually adjustable in height, and several interchangeable diameters and shapes are available to fit different primers. The top of the punch is surrounded by a spring-loaded sleeve to align and keep the primer in place. 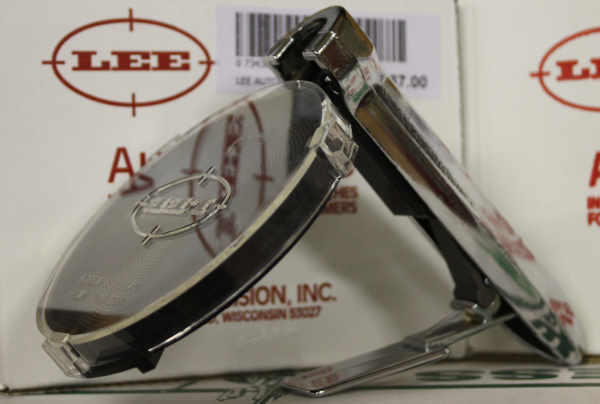 Lee Auto Prime, seperate from the press but a quicker way to re prime the cases. Raising the ram slightly then allows the priming arm to be snapped clear of the ram by its spring, freeing the ram for further movement.The length of the ram stroke must be as great as the longest cartridge to be loaded; this requires the opening in the “C” to be about 1/2″ greater than the longest loaded cartridge. Nearly all ” C” modern designs are made sufficiently large to accept the long H & H Magnum cartridges. Even though they are one of the cheapest options in the reloading market, I have never seen a factory manufactured one that is not capable of reloading millions if not an infinite number of rounds of ammunition. I have also been very impressed with home manufactured presses as they are not a high tech item and quite easily home manufactured by machining the ram and operating handle on a lathe and a little creativity with a welder and drill press. Next Edition the O frame press. Operators Manual, photographs, specifications and details of all types and different Models and Ammunition.